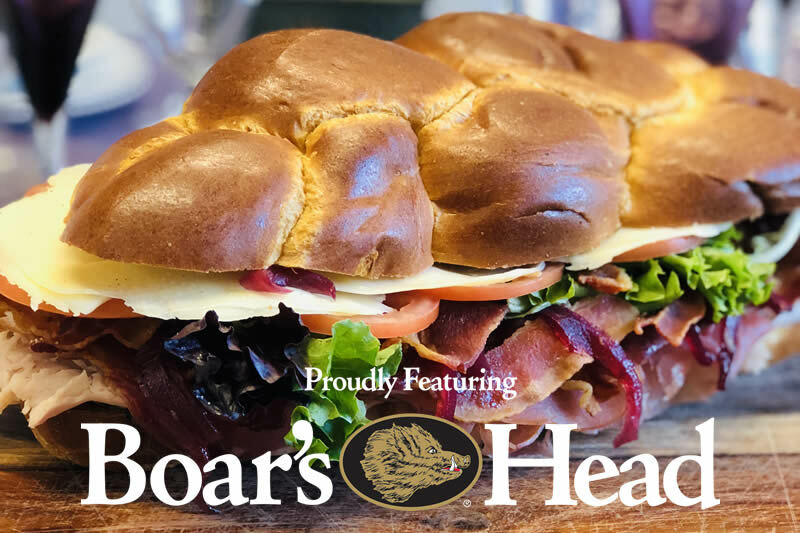 Introducing our new Gourmet Sandwich Selections at Saint Germain - with ultra premium Boars Head® brand meats…Try them today! Saint Germain Catering is proud to announce the launch of our brand NEW Catering Menu! 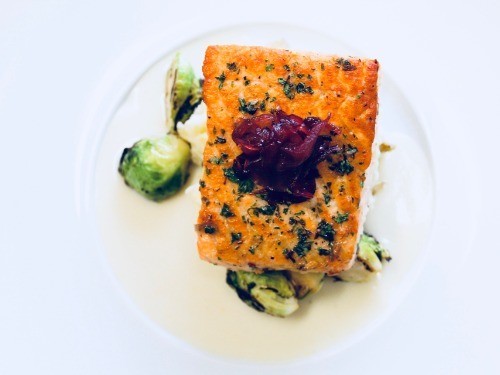 With a combination of customer favorites from our previous menu and exciting new selections, we can make a custom menu to suit any event, from corporate lunches to formal dinners and more. Whether you are hosting a Company Picnic or celebrating with friends at a Backyard BBQ, Saint Germain has a custom menu for your event. SGC is delighted to release our April Specials! SGC Spring Breakfast Scrambles and our Roast Beef with Spring Vegetables are just a few of the unique menu options that set Saint Germain Catering apart from everyone else. 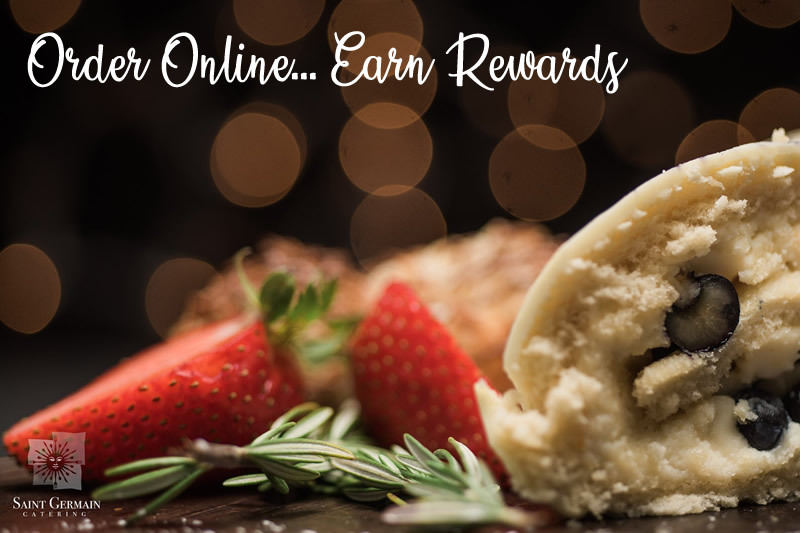 Enjoy the gifts of the season all while indulging in your SGC favorites. Whether you are celebrating your favorite Graduate or planning a Father's Day bash we have fresh & delicious menu options available for pickup, drop off or fully staffed events. Our Custom Cakes and Themed Cupcakes are the perfect touch for your special day. You have put in the hard work and now it's time to celebrate! Holy Guacamole It's Fiesta Time. 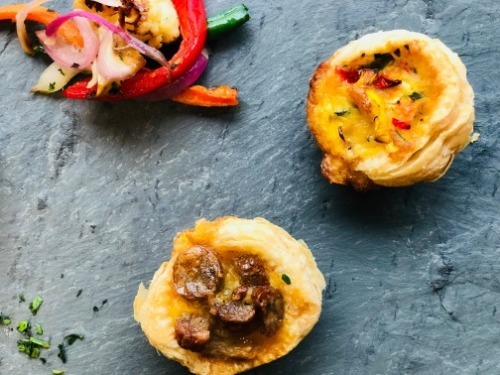 Saint Germain Catering's Cinco de Mayo menu features authentic flavors and fresh seasonal ingredients that are sure to add a sizzle to any event. Whether you are spicing up a work luncheon, enjoying a happy hour with friends or at home celebrating with family, our festive specialties will be the highlight of your gathering. Whether you are hosting a Company Picnic or celebrating with friends at a Backyard BBQ, Saint Germain has a custom menu for your event. 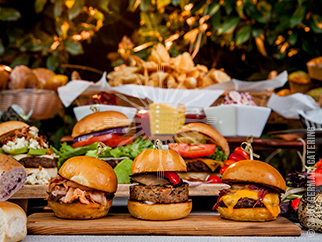 Add a unique & delicious touch to your event by offering a twist on your usual BBQ menu. Our SGC Homemade Ice Cream Sandwiches are a tasty addition to your company picnic or backyard poolside BBQ. 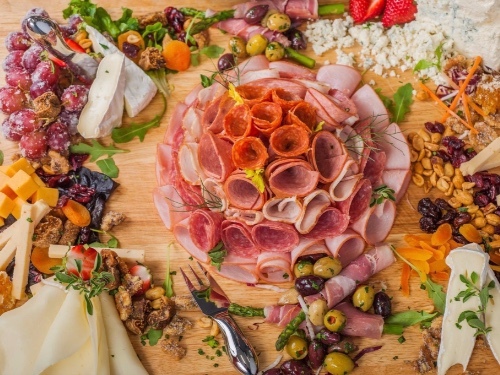 Quality is unanimous with Saint Germain Catering and Boars Head® brand meats’. Two of the best names in the catering world have partnered to give you the finest quality catered sandwiches. 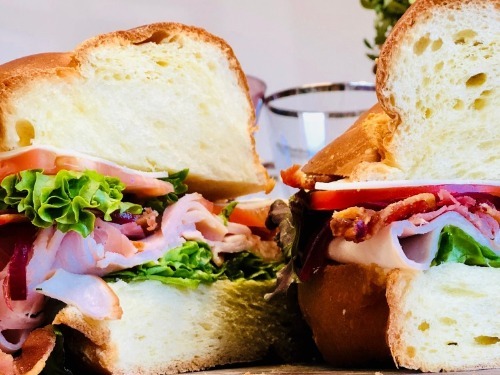 Our new Gourmet Sandwich selections offer our client the same great quality of Saint Germain specialty sandwiches with ultra premium Boars Head® brand meats…try them today! The month of May is filled with so many reasons to celebrate and Saint Germain has delicious food for each of them. 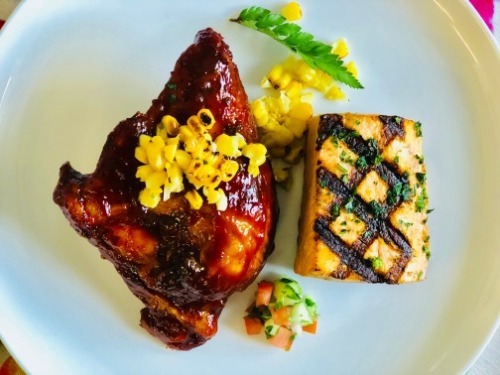 Whether you are enjoying an afternoon Cinco de Mayo Fiesta, honoring a special woman on Mother's Day, hosting friends for a Memorial Day Backyard BBQ or celebrating a loved one's Graduation, we have custom menus that are perfect for every occasion. At Saint Germain we continue to add new and creative menu options that will put a unique & delicious touch to your event. Quick, easy and delicious menu selections for your breakfast or lunch gatherings. At Saint Germain we offer new and creative catering options for every event. 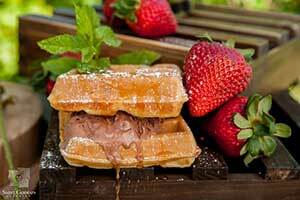 We have gathered our most popular dessert offerings that are perfect for an Office Luncheon, Corporate Picnic, Spring Wedding or Backyard BBQ with friends. Add a special touch to your menu by adding one of our Favorite Desserts to make an ordinary meal a wonderful experience. 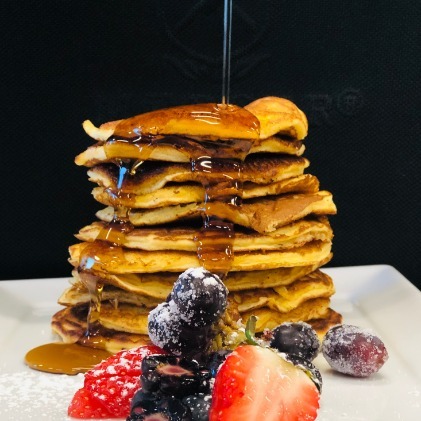 what a wonderful time of year to celebrate delicious soul-warming foods like our fresh buttermilk pancake stack. with chill in the air and spring around the corner, take advantage of our spectacular specialty crafted offerings. Success does not happen overnight and neither is it achieved by saying the "magic words". Mina Ebrahimi, the CEO of Saint Germain Catering, has proved that success comes by putting in hours of work and making strategic decisions. 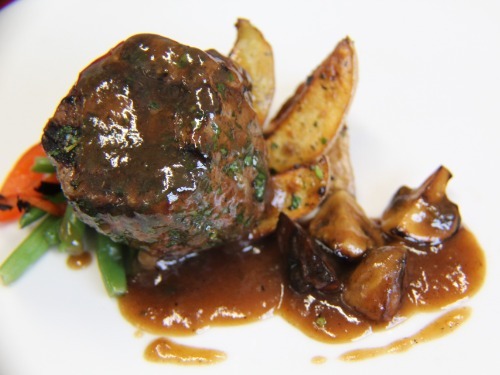 Saint Germain Catering today is widely known in the corporate world for its catering services. The business also serves events such as BBQ and picnics, baby showers, anniversaries and birthdays, bridal showers, graduations, and funerals. For Mina, the passion for the hospitality industry started at a tender age of 11 years in Seven Corners, VA at her parents’ bakery. At the age of 26, Mina Ebrahimi set out to establish her own business, Saint Germain Catering, which would grow to be among the top Fortune 500 companies. Mina Ebrahimi devotion to offering superior services in the hospitality industry has led to her being recognized several times. Among her awards include Top 40 under 40 in 2010, smart CEO Brava Award in 2012, and enterprising woman of the year 2014. She has been a hands-on CEO through overseeing the businesses operations and applying her experience and skills into kitchen management. Mina has always wanted to expand her business and ensure it stays at the top. Back in 1999, the Saint Germain Catering dealt with corporate catering, today it offers full-service catering. The growth has been owed to Mina’s dedication to making the business better every day. Mina stays up to date by attending professional seminars on cuisine, décor, and design to maintain the business’s relevance. Another aspect that has really driven the success of Mina Ebrahimi’s success is how she treats her employees. Her staff members are her team some of whom have been under her wing since the business’ foundation. Keeping her team motivated, empowered and satisfied has always yielded great results in terms of employee loyalty. Besides being a good leader, Mina Ebrahimi is also a generous philanthropist. 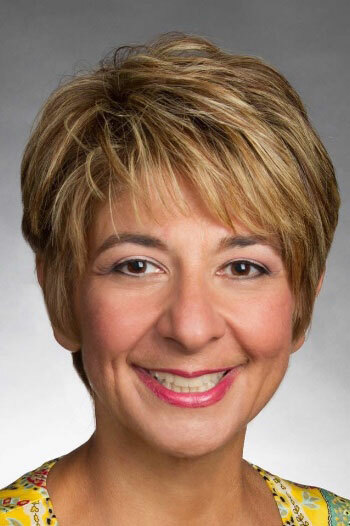 She has given back to the community through supporting Operation Homefront which helps disabled soldiers, Mina is also the woman behind the one of a kind Interventional Radiology Veterinarian program, the Jack Ebrahimi Program. In addition, she sponsors the Penn Vet Working Dog Centre to help a dog named McBaine who detects ovarian cancer. Mina Ebrahimi is an extraordinary businesswoman who inspires many women of all ages to help achieve their dreams. 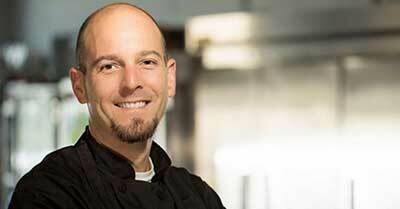 Contact Saint Germain Catering to celebrate a milestone! Our menus and talented chefs create the perfect party. Our event planners ensure the entire party runs smoothly, from beginning to end. 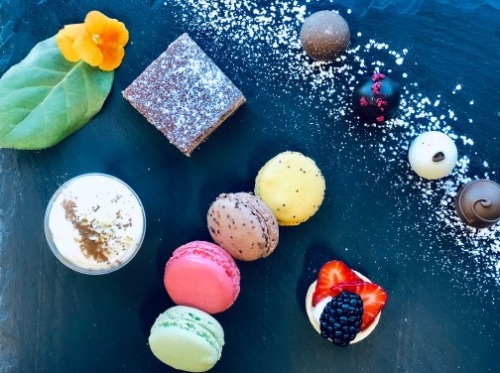 With so much to celebrate in life, let Saint Germain Catering offer your guests everything from fantastic finger foods, elegant buffets and exquisite farm-to-table meals – everyone will wish they were eating for two. Whether it’s a six-course meal, light hors d’oeuvres, or a backyard cookout, Saint Germain Catering will make your party a bundle of joy. During the hot summer and fall months, let Saint Germain Catering throw some shrimp (or chicken, or pork, or vegetables) on the barbeque. We can help find a great venue and provide the picnic and barbecue foods you’ve come to love. It is picnic & BBQ catering at its best. Begin the perfect wedding with a memorable bridal shower. 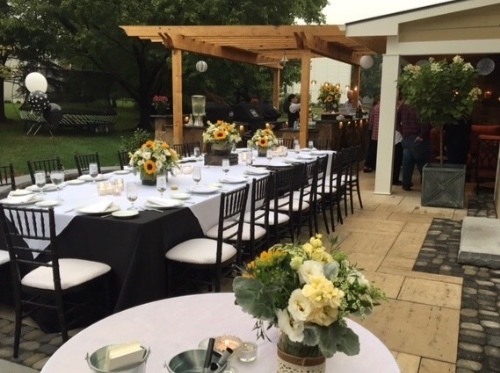 Whether you’re looking to provide an intimate brunch for 10 people or a late afternoon soirée for hundreds, Saint Germain Catering can provide a personalized menu that guests will love. Our event planners manage the event so that you can enjoy this occasion with friends and family. When there’s a meeting to manage, let us take control of the catering. Regardless of tastes or dietary restrictions, Saint Germain Catering can keep everybody satisfied with a variety of delicious options. Whether it’s breakfast, lunch, or sandwich platters, we will meet your needs. Funerals are reflective, personal family events that require the proper care and respect. Saint Germain Catering will take care of the practical concerns involved with the event, lessening stress. We can provide morning brunches or lunch receptions following the service with ease. 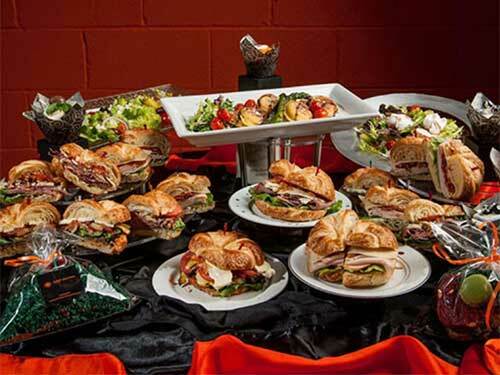 Our caterers design the menu for your event, ensure that it arrives on time, and complete both setup and cleanup. The tassel may be worth the hassle – but the party should be fun! 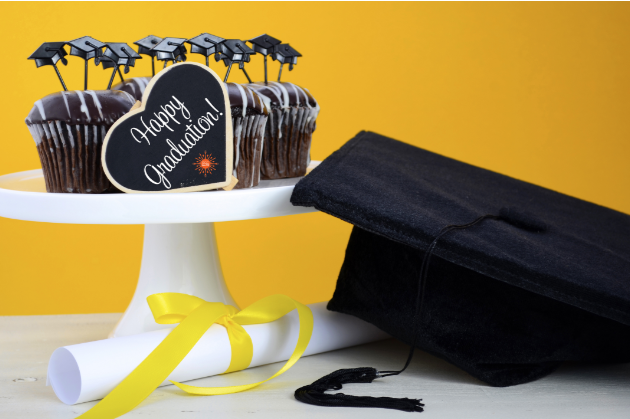 Saint Germain Catering can help you celebrate everything from a high school graduation to a PhD. 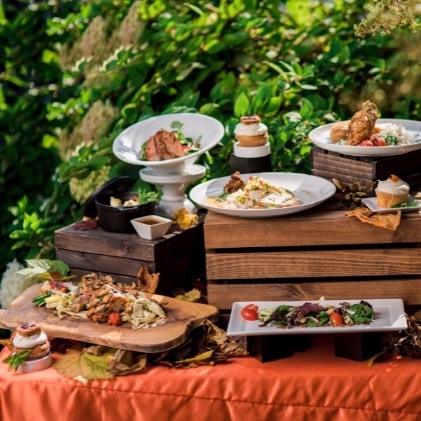 Graduations are major milestones, so why not enjoy some amazing food at the party? If you’re celebrating the graduation of a son or daughter, please let us know; we’ll give you a 10% discount as our congratulations. Planning a New Year's Eve party, or a holiday party at your home or office in Northern Virginia, Maryland or DC? Make your holidays stress-free this year with Saint Germain Catering for a party the will never forget. Our professional team will ensure your guests look forward to celebrating the season with you! No matter the size of your group, our sales team will take the stress out of holiday planning, and our culinary team will provide a memorable feast. Weddings are some of our favorite events at Saint Germain Catering. Our seasoned team of wedding planners, caterers, and chefs ensure that all details are covered so that you can enjoy your special day. Whether your wedding necessitates a formal sit-down dinner or a casual buffet, we promise that you will savor your nuptials. When you place a catering order with Saint Germain, don't forget to add amenities to help make coordinating your event more special. Whether you're planning a wedding, baby shower or birthday party, we aim to provide you with top-notch customer service. Take advantage of our delivery option — our prompt, professional personnel deliver food orders right to your home, office or event location, and delivery is available for your convenience. We'll even provide linens and decor to bring a celebratory touch to your special occasion. Contact us today at 703-506-9396. This place will go above and beyond to make your event everything you want it to be. Me and my now husband worked with them for our wedding and we wanted everything to go as smoothly as possible. Whenever we would have an idea, Nikki would always say "we will make it happen" and that is exactly what she did. Nikki, Gina, and Jeff were always responsive - they are a solution oriented team so when last minute problems arose they were on top of all the details all the way through and worked everything out. They truly know what they're doing. I would 100% use them again for future events - no questions. My company picked Saint Germain Catering for corporate catering to supply food for our annual picnic. The staff were friendly, professional, and easy to communicate with. The catering company provided Beef, Turkey, and Vegetarian Patties, Mac and Cheese, Potato Salad, and Homemade Chips. Everything was pretty darn delicious. Once again, we were very satisfied with our catering experience. Placing the order was seamless, the delivery arrived on time (actually a little earlier than requested, which was great! ), and, as always, the food was delicious. This time we had breakfast for our team, which included a scrumptious egg casserole, sausage links and bacon, hash brown potatoes, and fresh fruit. We will definitely use Saint Germain again in the future. Nikki and her team were amazing from start to finish. I am by no means an event planner, but Nikki took the time to guide me through planning a catered party for my wife's surprise party. I had several changes that I sent to her, and never did I feel like I was imposing. Her replies were usually in the same hour, sometimes even sooner. The event went flawlessly - staff was on time and had plenty of time to set up. During the event, the bar tender - Mauricio - was on point and quick to mix drinks, as well as tend to the food. And that was the best part - the food was amazing! People could not stop talking about how good the beef was. I would hire Saint Germain for a personal or professional event again in a heartbeat. Would not even consider searching for an alternative!. We had heard the St Germain was excellent and that is absolutely true - we couldn't be happier that we chose them to caterer our 50th Wedding Anniversary party. From planning through the after party cleanup, the staff were critical to making our event a huge success! During planning & coordination, Jazmin was extremely helpful by taking the time to understand our needs and making helpful suggestions. Her insights & experience helped ensure that the items we wanted to do ourselves fit perfectly with what St Germains would do so that no details fell through the cracks! On the day of the event, the server & setup/restoration crew (Gina, Katie, & Brian) were amazing in how hard they worked to make sure that everything was ready, that the guests were well taken care of, and doing the cleanup & returning the site to its original condition. 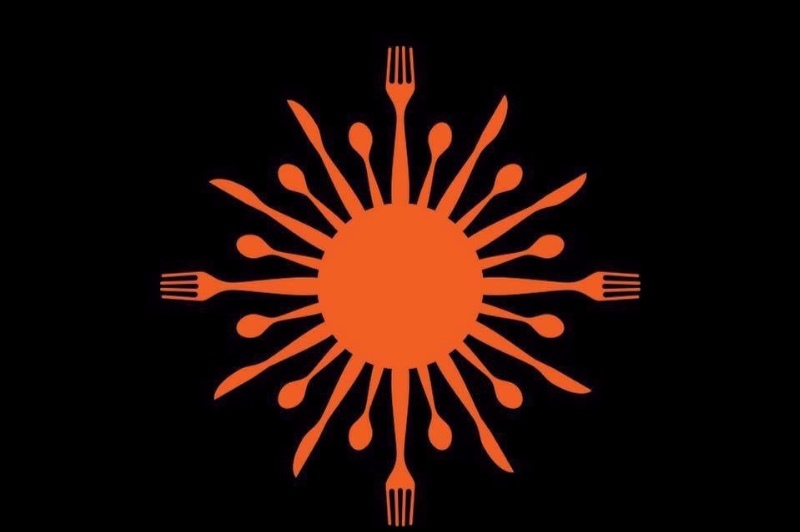 Lastly, the food was excellent - we would highly recommend the Pinata Special (the Carne Asada & Tequila Lime Chicken) and Salmon dishes - they got rave reviews from our guests. The Mini-Cocktail Sandwiches & the Imported Cheese/Fruit were also excellent!! These folks really are committed to excellence in catering.